The other day I was reading an article on the HIT Consultant website called 10 Steps To A Blockbuster Health IT Startup. Who, in my position, wouldn’t want to read this article? This is a fantastic title and, of course, I wanted to see how many of the 10 steps I had already taken. Much to my surprise, I was able to check off the first six steps and part of the next three. As I was helping my wife cook dinner that night I kept thinking about how I needed to get back and read that article again. Had I really come this far, and more excitedly, what is holding me back from taking the next BIG step forward? By day, I am a pharmacist. I work full time in an out-patient clinic pharmacy. This is a very rewarding environment to work in as a pharmacist. We are open 9-5:30 Monday through Friday and closed on weekends; unheard of hours for a pharmacist. We are not riddled with performance metrics as so many pharmacies are these days. I have ample technician help and patients always get the necessary time with the pharmacist for the medication counseling they need. By night, I am a health information technology (HIT) entrepreneur. This is a difficult and lonely plight. I find myself sleepy, excited, hopeful and frustrated all within a five minute time frame. Regardless, this is the path I have chosen; or more likely, this is the path that has chosen me. That was it! I had found my Blue Ocean. I was so excited that afternoon and night I couldn’t sleep. I stayed up searching and searching on the internet, trying to find anything remotely similar to what I had thought of. Quite a few times that night, and the following couple weeks, I found programs that initially sounded similar; however, after evaluating them they were not similar at all. So it began. Over the following weeks I began the process of developing my HIT product, building a website, searching for a business name, and reading books and blogs about how to bring my product to market. In my particular situation, I learned that blogging about the topic on a regular basis would be an invaluable asset. After reading many different articles about blogging, I set a goal for myself to blog about my particular subject twice weekly for the following 12 months. After a few weeks, I fell into a reasonable routine waking up early to work on building my product and managing my website. One of the weekend days would be used for catching up on any necessary blogging. I find that when I sit at the computer, it doesn’t take much for me to get side tracked following all of the e-health on social media. When I finally realized that if I took my laptop and set it down at the dining room table, rather than at my desk, I was much more likely to stay focused on the task at hand. Fortunately, I have a very understanding wife who has supported me throughout this entire process. By the end of one full year I had built a significant amount of product, blogged nearly twice weekly the entire year, and created a strong internet presence on Facebook, Twitter, Google+, Pinterest, and yes, the all-important LinkedIn. I’m not sure what I thought was going to happen. My company had not been purchased by any big corporate entity, my wife had grown weary of reading my blogs, and I was tired from getting up so early all those months. That said, I had made tremendous progress and, surprisingly, my desire to continue the process had only strengthened. Now that I had completed my short term goal, what was next? After some more reading and research, I learned that I needed to form some alliances in my particular field. It was about this time that I stumbled upon RxEconsult on Twitter. After reading quite a few of the articles and viewing many profiles, I took the plunge and submitted my first article. Much to my surprise, it was well accepted and appreciated. I found that RxEconsult is a great forum for putting my writing in front of a large number of health care professionals in a short time frame. By making a concerted effort to reply, respond, comment, and yes, post on a regular basis to RxEconsult and other social media sites, I have formed quite a few health care friends. I need to digress for a moment to discuss the importance of protecting intellectual property (IP). In the beginning, I attempted to contact the United States Patent and Trademark Office (USPTO) and complete a patent-pending application for the HIT process I am developing. After three attempts, I finally completed the initial process. A few months after that I went through the process of trying to complete a Utility Process patent application on my own. Please, don’t waste your time trying to do this without a lawyer. After interviewing three different IP lawyers, I found one that was as excited about my new utility process as I was. At this point, my job was to write a check and let him handle all of the legal process. To date, we are 14 months into the patent process, have had one rejection-turn around and are hopeful we will have approval within the next 12-18 months. Here I am, almost two years into this project. I have invested over 2000 hours of my time building product, developing website, blogging and building a strong health care professional network. My wife and I have invested thousands of dollars of our savings into our business and we are both confident that what we have founded is a unique concept. What is keeping me from taking the next BIG step, forging that important relationship with a big sponsor, asking for investor money, paying to have a real mobile application developed, and pitching my program to the big league? Simple answer, I’m comfortable. This has been an issue with pharmacists as long as I can remember. I have been practicing for 26 years now, and see it over and over. Most pharmacists work 40 hours a week and make a decent living. This process allows me the comfort of funding myself (albeit, rather slowly), and takes the pressure off of needing to have a product to market in order to send my kids to college. I will keep getting up at 4:30 a.m. and developing product. I will continue to blog and maintain a presence in the social media health care world. I currently have quite a few individual members and am working on signing a group contract membership with a company. If I continue to follow this process, I am confident that at some point, in the not too distant future, I will be pitching my program to the HIT big league. I welcome comments from other HIT entrepreneurs. 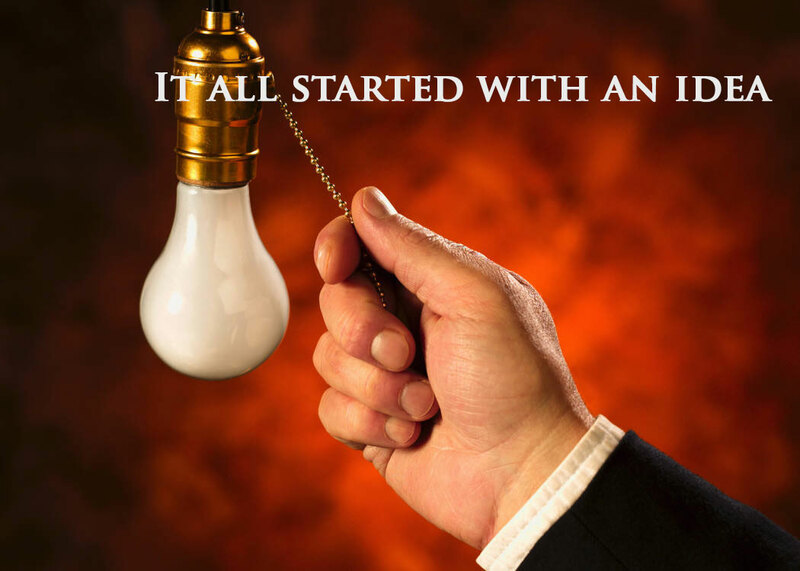 How did you take your product from idea to market? 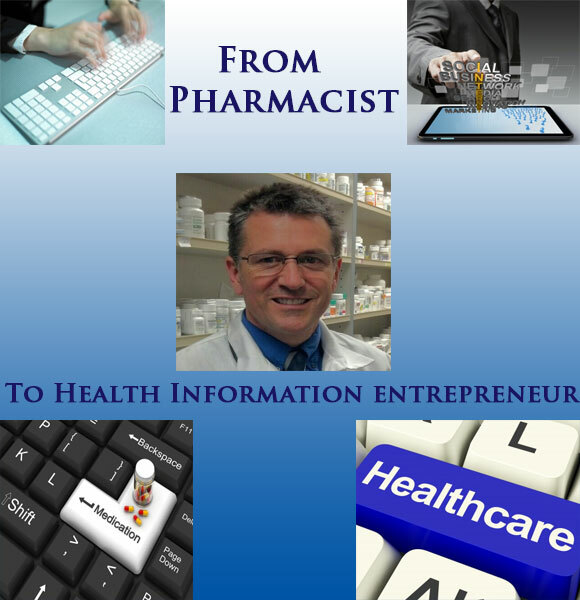 Steve Leuck, Pharm.D., is President/Owner of AudibleRx. AudibleRx provides OBRA 90 based Medication Specific Counseling Sessions in digital/audio format. After a patient or caregiver listens to a counseling session, they will have a clear idea of what they do and don’t know about their medications so they may take educated questions back to their own health care professional.